Matt La Porte was born on November 20, 1986, in Hackensack, New Jersey. He graduated from Carson Long Military Academy in New Bloomfield, Pennsylvania, in 2005, and entered the Air Force ROTC program on scholarship with Detachment 875 at Virginia Tech in Blacksburg, Virginia, in June 2005. As an Air Force ROTC scholarship Cadet, La Porte also enlisted in the U.S. Air Force Reserve as an Airman at the same time. While in the ROTC program at Virginia Tech, Cadet Corporal La Porte served in the Regimental Band and studied Political Science at the college. On the morning of April 16, 2007, a gunman forced his way into Matt's classroom and he was killed while charging the gunman in an effort to save his classmates. Cadet Corporal La Porte was posthumously awarded the Airman's Medal for his heroism that day, presented on April 9, 2015. Matt La Porte was buried at Westview Cemetery in Blacksburg, Virginia. He was survived by his father, Joseph La Porte; mother, Barbara La Porte; and sister Priscilla La Porte. 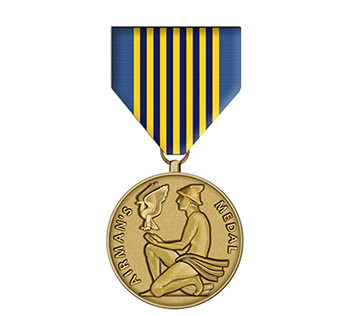 This is the only known instance of the Airman's Medal being awarded to an Air Force ROTC Cadet since the decoration was created by Title 10, United States Code 8750, on July 6, 1960. Cadet Matthew J. La Porte distinguished himself by heroism involving voluntary risk of life in Norris Hall on the campus of Virginia Polytechnic Institute and State University on 16 April 2007. On that day gunfire erupted in the hallway outside of Room 211 and the professor told her students to get down and to move to the back of the classroom to take cover behind desks, Cadet La Porte instead moved to the front of the room and barricaded the door with a large, heavy desk in an attempt to defend the class. When the shooter subsequently forced his way into the classroom, Cadet La Porte, with complete disregard for his own safety, unhesitatingly charged the shooter in an aggressive attempt to stop him, drawing heavy fire at close range, and sustaining seven gunshot wounds. Cadet La Porte's actions helped save lives by slowing down the shooter and by taking fire that would have been directed at his classmates. He sacrificed his own life in an attempt to save others. 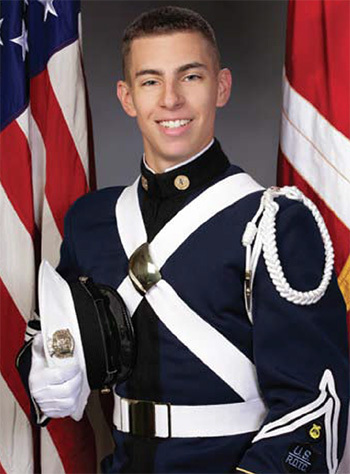 The exemplary courage and heroism displayed by Cadet La Porte in the dedication of service to his country reflect great credit upon himself and the United States Air Force.